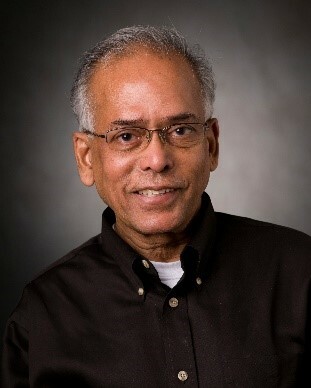 Dr. Kumara is the Allen, E and Allen, M. Pearce Professor of Industrial Engineering at the Pennsylvania State University. He also holds joint appointments with Computer Science and Engineering, and an affiliate appointment with the School of Information Sciences and Technology. His research focus is on building smart manufacturing and logistics systems, clustering in large scale networks and big data analytics. He is an elected fellow of Institute of Industrial Engineers (IIE), the International Academy of Production Engineering (CIRP), the American Association for the Advancement of Science (AAAS) and American Society of Mechanical Engineers (ASME). The notion of autonomic computing had been in existence over a decade and it poses a major engineering challenge. The ideas from autonomic computing led to service computing and web services. In life cycle management right from raw material procurement to warranty and real-time performance coverage would need services that need to be invoked, composed and executed. These processes of service invocation, composition and execution takes a different path in the cloud enabled, mobile and Internet of Things (IoT) based future. In this talk we will explore the basic ideas, modeling and implementation related research issues in service computing and trace the evolution. We will relate this to life cycle management with the discussion on various services needed, models for invocation, composition and execution. We will address one of the aspects composition in detail and relate it to big data paradigms. This talk will be expository in nature.